In this vividly illustrated talk, Ruthanne Lum McCunn brings to life the amazing stories of Asians and Pacific Islanders in the Confederate and Union Navies and Armies, including that of Thomas Sylvanus (Ah Yee Way), the veteran whose life she reclaimed in Chinese Yankee. 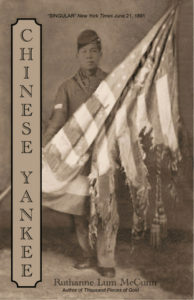 Discussing the subsequent battle of Chinese veterans for citizenship, she also explores an important and virtually unknown chapter in America’s rocky yet persistent struggle towards a more perfect Union. 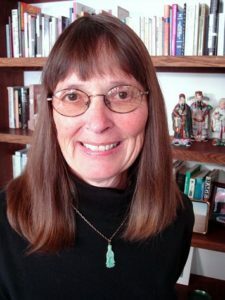 Ruthanne Lum McCunn is a writer of Chinese and Scottish descent whose award-winning work has been translated into eleven languages, published in twenty-two countries, and adapted for the stage and film. She is most recently the author of Chinese Yankee, the true story of Thomas Sylvanus. This entry was posted in Meeting archive on March 10, 2017 by hlj.